If you surf over to the Galerie Michael Hasenclever and look at current exhibitions there is a link to download a FREE 25 page exhibition catalogue to the show 'NIKOLAI SEDELNIKOV - AVANTGARDE FOR UTOPIA'. I love drawing although it is not a central part of my practice; working with drawing materials is simply wonderful (can't believe I wrote 'simply wonderful'!). 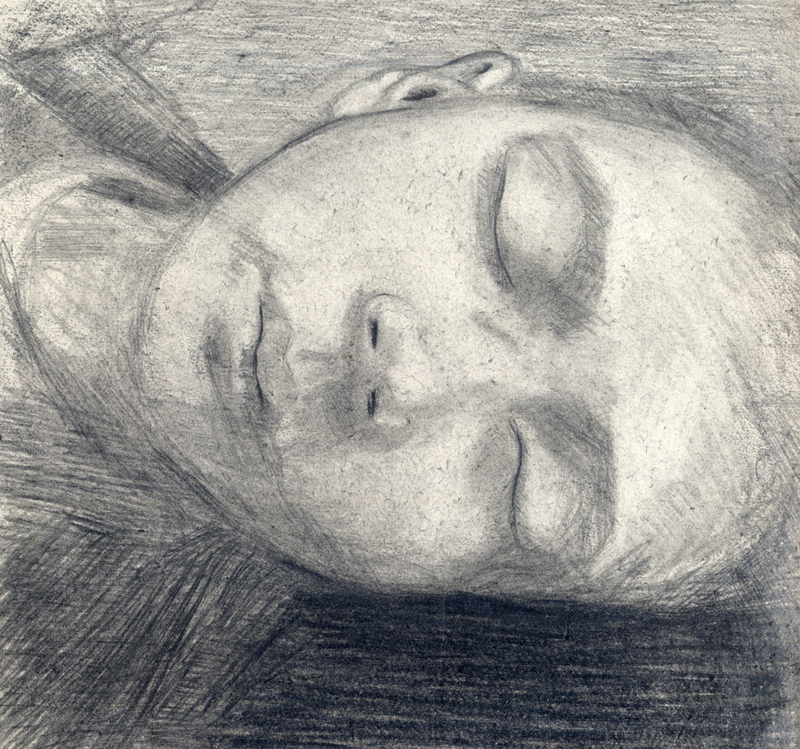 This is a drawing of my son Ben asleep, its pencil on very soft paper, I hope you like it. The pages of art and design magazines sliced-up. Text and image removed, except '0' and '1'. Replaced by harvested fragments of magazines and random advertising. Abstract art is free from imposed meaning and narrative, however, when you view my work you must think of electronic music, consumerism, circuitry, mindless repetition, vandalism, nothing, zero... or I will beat you with a stick! Virtual worlds can be created in code. 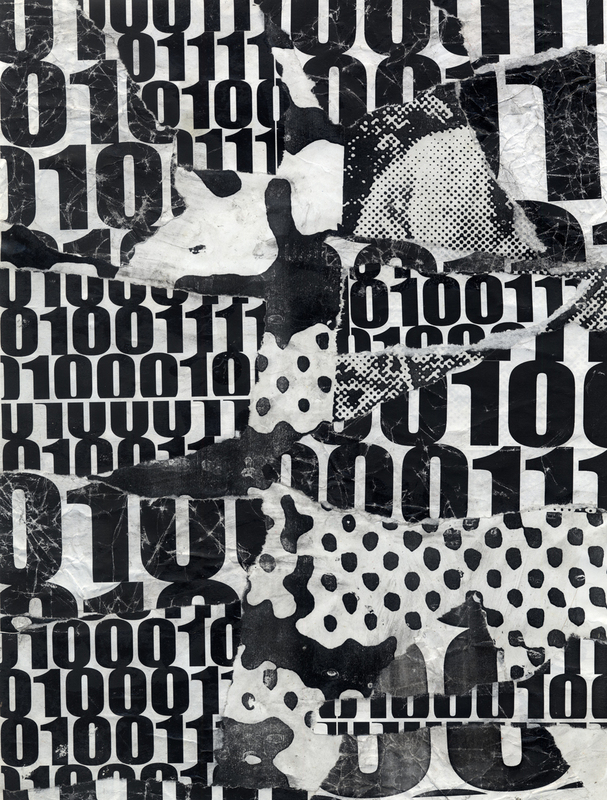 These images pay tribute to binary, the underlying matter of our digital world. They were made in response to my final days working in newspaper print production before being made redundant. I cut up magazines to create collages. What appears to be a rigorous abstract art is mined from the glossy magazines of our aspirational society; advertising and popular culture, recycled, stripped of clamoring image and message. Each collage piece is measured and cut to fit in a process akin to marquetry. Pieces are not pasted on top of one another; a painstaking amount of time is taken to craft each collage. I edit out the message and work with the remnants: predefined colour and form. My creative process is easy to understand: my formula unravels before the eye and should not bamboozle. I follow a formula of selecting just colour and omitting all images and text, except '1' and '0'. Collage, pasted paper on paper. Initial drawing (based on a collage of the same subject) is done on board. modularmark's 'Content' painting being made.​ The work I entered for the RA Summer Exhibition. 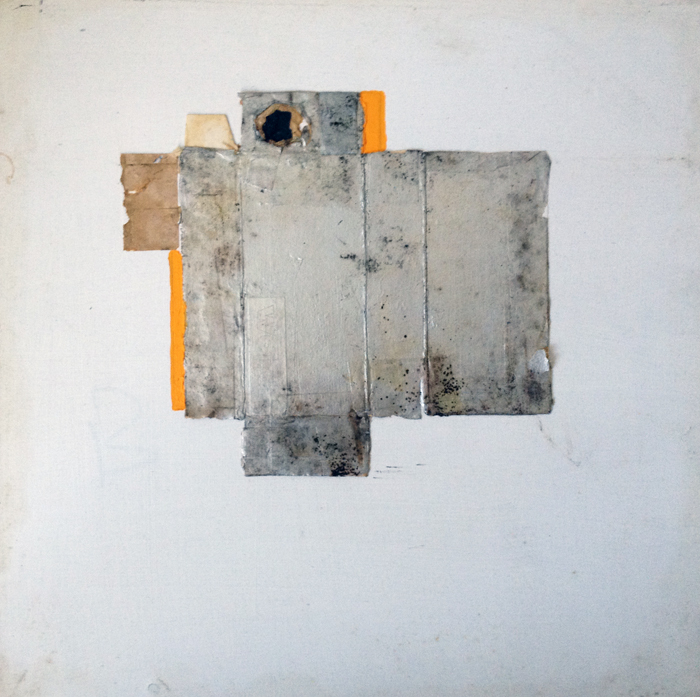 A less arbitrary formalism: modularmark's collages are 'sketches' for paintings. 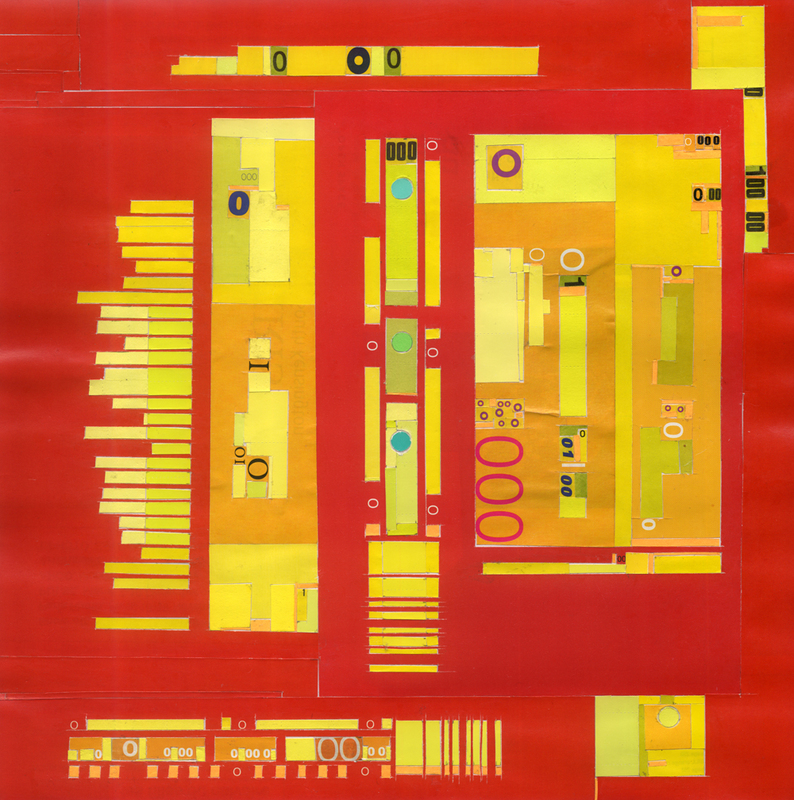 In his 'Magazine Ricochet' series of work he follows a formula of selecting just colour and omitting all images and text (except '1' and '0'). Image: Info Totem (collage, 2011) from modularmark's 'Magazine Ricochet' series. Cardboard Box Design Inspired My Paintings! 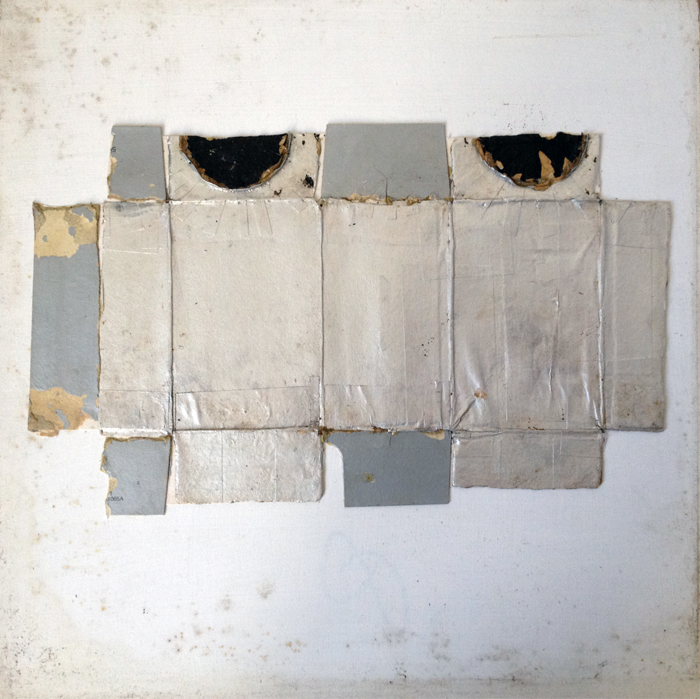 In my 'Black Box' series of paintings I used, or was inspired by the form of the ubiquitous cardboard box. Unremarkable everyday objects that cocoon and protect our cherished consumer choices; that we rip apart and sling in the trash; these inspired my art. Madness, I know! but, as product designers around the world might appreciate, some of the solutions used in box (or carton) design are often nothing less than pure genius.